You already know that organic pure Argan oil leaves your skin glowing (yes, it even combats wrinkles!) and your hair photo-shoot ready and frizz-free. But what else can you use pure Argan oil for? Pure Argan oil has been used for centuries on skin and hair thanks to its moisturising, anti-aging, and healing benefits. Due to the high percentage of vitamin E, antioxidants and essential fatty acids found in Ayelli Pure & Organic Argan Oil, it protects, heals, and repairs many hair and skin related issues. This is truly a versatile product for pampering and healing. The best part is that Ayelli Pure & Organic Argan Oil contains linoleic acid. This ingredient serves to control your skin’s excess sebum production responsible for breakouts, oily scalp, and other oil related problems. The result? You get a glowing radiance without the oily shine. Pregnancy may be a time of glowing natural beauty for some but for many others, it may also mean the appearance of dreaded stretch marks. Pure Argan oil is fantastic at keeping skin firm and supple, as well as preventing and reducing the appearance of stretch marks. On top of that, Pure Argan oil is also a perfectly safe and natural product for use on your baby’s delicate skin when they arrive. Double duty! With our hectic lifestyles and demanding schedules, our body is bound to experience some discomfort from the physical exertion. The brilliant anti-inflammatory properties of Argan oil help you lessen aches and pains easily; it even helps rheumatic conditions like arthritis. The component gamma-Tocopherol (a form of Vitamin E) in pure Argan oil has been proven in scientific studies to possess strong anti-inflammatory properties. Use organic Argan oil in a relaxing massage and feel those niggling pains drift away. 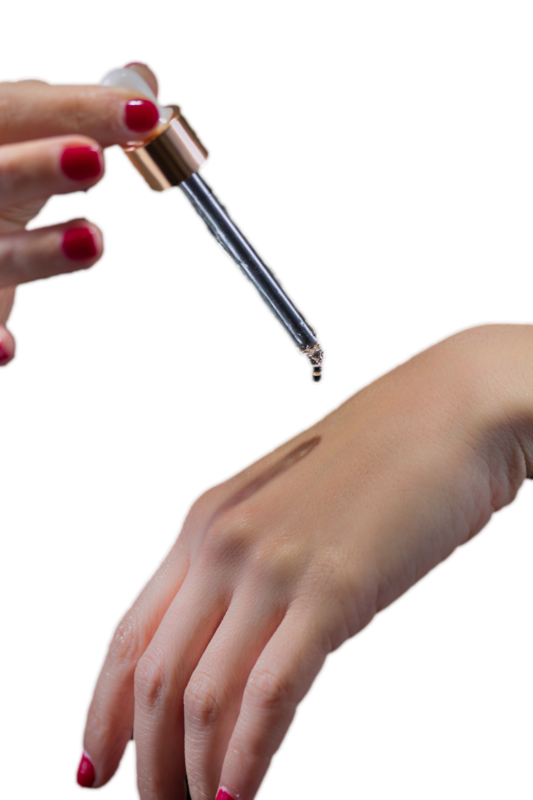 Pure Moroccan Argan oil also makes a versatile manicure treatment. It diminishes the appearance of sunspots on hands, moisturizes dry skin near the cuticles, and boosts the strength and growth of nails. Argan oil will deeply nourish your skin whilst repairing over-worked and aging hands. Do you get enough ‘me’ time? For most of us, the answer is an emphatic no. In between juggling kids, careers and other commitments, it can be hard to get enough R&R. Tiredness and stress may lead to tell-tale panda eyes. However, a simple solution for your dark eye rings is to dab pure Argan oil under the eyes to facilitate blood circulation and reduce inflammation. Say hello to lively, wide-awake eyes! We believe that the future of beauty lies in high-quality products with a versatile usage. Pure Argan oil is one of the best hair and skin products to fill that gap. Take a look at Ayelli Pure & Organic Argan Oil and use it in a brand new way! What other ways do you use your pure Argan oil? Comment below and share this article as a subscriber and you will receive our ultra-hydrating Argan cleansing bar worth $19 for FREE* Sharing is caring! Let’s chat! I use them on my cracked heels after a shower! This is a great read! I use #Ayelli argan oil on my face every night. It really does wonders to my skin! Argan oil is one of my favorites and I did not realize how it helps banish under eye circels! It’s very effective for the whole skin and especially around the eyes where the skin is very sensitive, fine and prone to depigmentation.